Patchogue, NY, September 06, 2018 --(PR.com)-- Mary P. Lodato, RN of Patchogue, New York has been commemorated as a VIP Member for 2018 by Strathmore’s Who’s Who Worldwide for her outstanding achievements and high level of success in the field of healthcare. 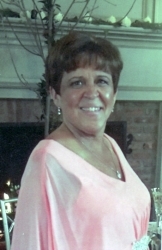 Mary Lodato has over 42 years experience in the healthcare field. She is a Registered Nurse at BMHMC (Brookhaven Memorial Hospital Medical Center) which is a hospital providing patient care in Patchogue, New York. She provides basic nursing services in the ambulatory surgical unit with pre- and post-op patients. Ms. Lodato is bilingual in Spanish and English. She enjoys teaching bilingual nursing assistant students, L.P.N. students and those in the working maternal child arena. Born on August 31, 1954 in Bronx, New York, Mary obtained a L.P.N. from Eastern Suffolk BOCES in 1973 and an A.S.N. from Suffolk Community County Community College in 1982. Previously, she taught L.P.N.’s at BOCES and worked at an OB/GYN office. Mary married Anthony on August 25, 1979 and they have three children. In her spare time she enjoys family activities, BBQ’s, traveling to Europe and reading. For further information, contact www.brookhavenhospital.org.